Are you looking for natural health near Coburg Victoria? We understand that the search for competent, knowledgeable and caring natural medicine practitioners. That’s why we’d like to introduce you to our business. Set in Essendon, (only a 10 minute drive from Coburg), we offer quality natural medicine services. 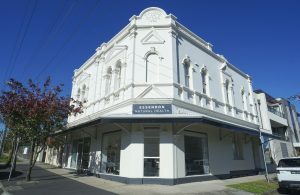 Essendon Natural Health is set in our beautiful heritage listed building. We offer serene interiors and friendly helpful reception staff. We are also fortunate to have found a group of natural medicine experts in the field. Clinical director, Robert Gentile OMD is a registered acupuncturist and herbalist that has been in practice for over a decade. Robert believes that combining natural medicine modalities provides the best patient care. 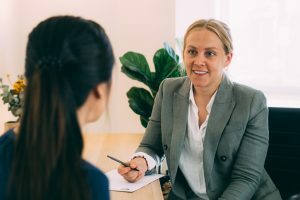 At Essendon Natural Health, we have the right practitioners for the right health complaint. This environment leads to the best possible health outcomes for patients. Not only for correcting health disorders but for maintaining and optimising health. 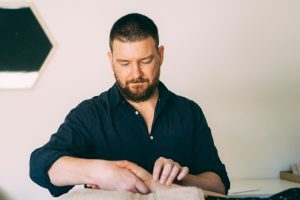 Lachlan has a psychology background and has a special interest in working with patients who are experiencing stress, anxiety and mood-related concerns. He also assists Robert in working with pregnancy, IVF and women’s health-related cases, as well as general acupuncture cases. To make an appointment for acupuncture & Chinese medicine Coburg, book online here. Natalie Earles is a wealth of knowledge when is comes to the management of skin symptoms. Natalie has a special interest in working with patients presenting with eczema, acne, psoriasis, and other skin related concerns. She also works with weight management, digestive symptoms, hormonal conditions and general health. To make a Naturopathy Coburg appointment to see Madeline or Natalie, book online here. To make a time with Dr Amy Ly (Osteopath) or Dr Sonia Dolatian (Osteopath) please feel free to book online. Our Myotherapist Esther Malone works towards reducing pain and improving mobility and quality of life. Myotherapy uses a combination of manual methods to restore muscle function. Esther works with athletes and non athletes alike to aid muscle recovery and improve performance. If you are in the Coburg area, it is well worth the visit to our clinic to try make a time with Esther. Book online here. With only a 10 minute car ride through Pascoe Vale, you can arrive to our beautiful location in Essendon. You’ll find car parks nearby and an easy entrance right off Buckley Street. So you’ll be relaxing in no time. Check our Map below and if you have any questions regarding places to eat or to relax before and after treatment, just give our reception team a call. Call us on 03 9337 8572 Or Book online now.